By checking this box you agree that you are at least 13 years of age or older. NO Would you like to be added to our Special Promotions Email Program? 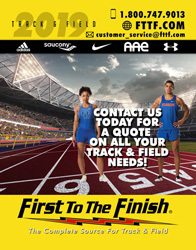 Benefits include Exclusive Web Sale pricing on select items, early notification of Current First to the Finish Sales and up to the minute information on New First to the Finish Products.